Confession time. I’ve been trying to find skincare for mature skin for quite awhile. Last winter I thought I found a perfect match for my skin. I started using a new skincare line for me. It’s called Rodan and Fields. 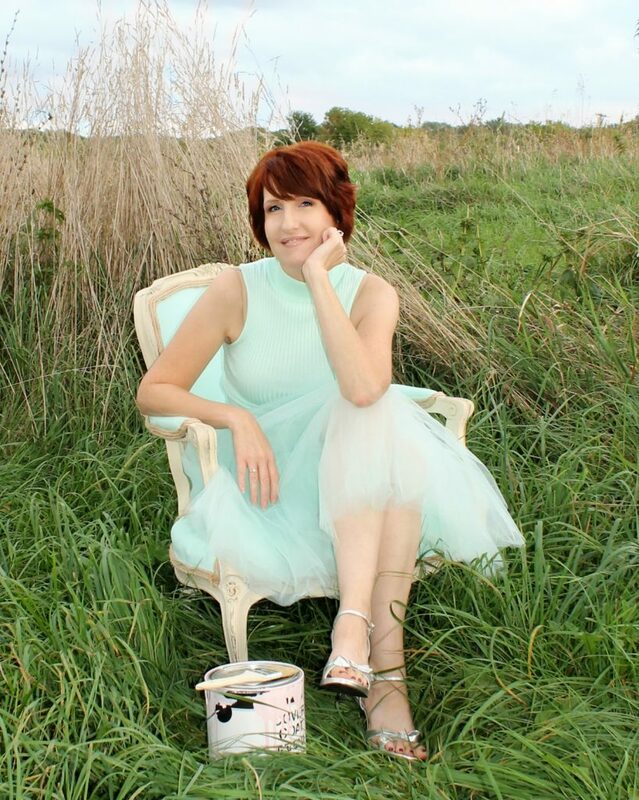 I shared it on my blog because as I started using it I started seeing amazing results. After using it for a few weeks I noticed that my skin was getting dry. I stopped using it contacted my friend. She suggested that I use Soothe after using soothe for a month or so I did see that my skin wasn’t as dry. She suggested that I go back to my regimen that was called redefine. Again I started seeing amazing results for 3 weeks. I was so impressed I thought why not sell it too so I can get a discount. Although that’s not quite how it works. But this post isn’t going to go into all of that. (This post contains affiliate links. Please see disclosure policy). I stopped using R&F and I scheduled a visit to my dermatologist to see what she would suggeset as far as skincare for mature skin. I was so frustrated with my skin at this point. She gave me a list of things to try but in the meantime I decided to do a little more researching myself. I discovered a Youtuber her name is Stephanie Nicole. She is very knowledgeable when it comes to ingredients. She is in the beauty industry and has a chemistry major. Stephanie really knows her stuff. She has a few videos that she talks about skincare. 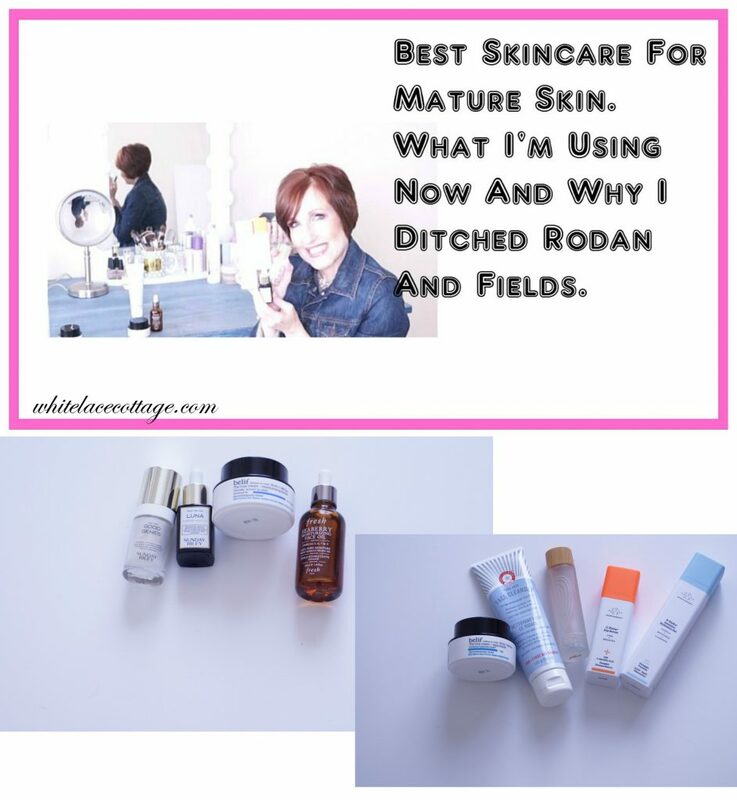 I was intrigued by what she uses and suggested that I decided to try most of the products that she shares. Before sharing this with all of you I wanted to make sure I used this all for at least a month. I didn’t want to come on here and say how much I love something and then have to say once again…that it was a total fail. One of the things my dermatologist recommended as far as skincare for mature skin was a cream cleanser. I didn’t like it because I felt that it didn’t make my skin feel clean. So I switched to this cleanser by First Aid Beauty. 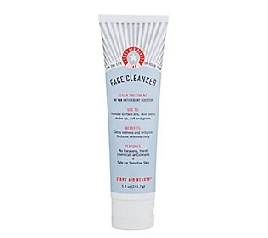 This cleanser is light but gets deep and cleanses all of my makeup off. I apply it to a wet face, using a pea size amount. I apply it to my face in a circular motion. As I am applying it the cleanser will start to foam slightly. Then I take my wet facecloth and wipe off the cleanser and makeup. I currently use this morning and at night. I don’t find it drying at all. In fact my skin feels soft after I use it. After my face is cleansed I use May Coop Raw Sauce. May Coop is a maple tree sap. This will prep your skin making your serums, oils, and moisturizers perform better. I apply this to my face. I don’t use a cotton ball or pad, I pour a small amount into my hand at the tips of my fingers. Then spread it evenly on my face and neck. This dries instantly. The reason that I don’t use a cotton ball or pad is that I find the product gets absorbed in the cotton so I am wasting product. This does have a slight fragrance that reminds me of cheap hairspray but it doesn’t last. Vitamin C is very important for your skin. When it comes to skincare for mature skin make sure you add Vitamin C in your routine. This is so important when it comes to skincare for mature skin. It helps to stimulate collagen production, it evens out your skin tone, improves hydration, plumps the skin making fine lines less noticeable. I used vitamin C serum years ago. I don’t know why I stopped. I am now using Drunk Elephant C-firma. 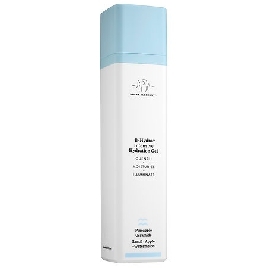 This contains (information taken from Drunk Elephant)Potent Antioxidant Complex (L-Ascorbic Acid 15%, Ferulic Acid, and Vitamin E 1%): Supports natural collagen synthesis and protects against damaging UV rays to better prevent visible signs of aging. -Indian Gooseberry: An antioxidant-rich super fruit that helps to prevent oxidative stress and degradation of skin proteins, while promoting firmness. I’ve seen a huge difference in my skin since using this. I only use this in the morning after I’ve cleansed and used May Coop Raw Sauce. Something important to know about vitamin C. Most serums that contain vitamin C are in a dark bottle with a dropper. The problem with that once it’s exposed to air it starts breaking down making it less effective. So you will get halfway through your bottle and it will need to be thrown out. Drunk Elephant created a container that not only keeps the light out but air as well. It has a pump. You twist the top to use the pump and to disperse the serum. Then you twist it to close it. No air can get into the container so it’s effective all the way until you finish it. Because this time of the year can be hard on my skin I add an extra moisturizer. This is used after I’ve applied my B-Hydra. 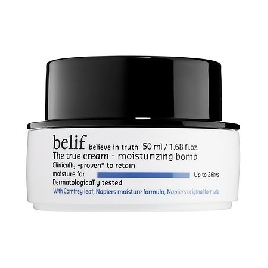 I use Belif aqua bomb which is a lightweight gel moisturizer. It’s very light, non-greasy or sticky. Absorbs quickly into the skin. I don’t notice a fragrance with this either. Actually I don’t detect a fragrance at all. This contains: Lady’s Mantle: Provides antioxidants and also has pore minimizing benefits; helps remove free radicals from skin. Malachite: Antioxidant that neutralizes free radical activity. Plantin: Creates moisture seal on skin. Oat Husk: Attracts moisture (humectant). First I cleanse with my First Aid beauty cleanser. Then I use my May Coop raw sauce. Next I exfoliate using a chemical exfoliator. I was using a exfoliator with granules but noticed my skin looking and feeling drying. I switched to this chemical exfoliator and have noticed a huge improvement on the appearance of my skin. I heard about Good Genes from Sunday Riley. I was afraid to use this at first because I heard it can be irritating to sensitive skin, which I have. But since using it I’ve had no issues. 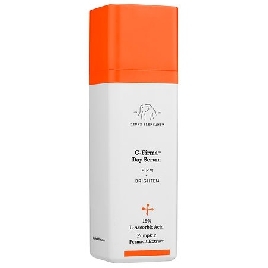 Here are the key ingredients :High Potency, Purified Grade Lactic Acid: Exfoliates dull, pore-clogging dead skin cells to instantly clarify and reveal smoother, clearer, younger-looking skin, while fighting visible signs of hyperpigmentation. Licorice (Glycyrrhiza Glabra): Naturally brightens the appearance of hyperpigmentation. Lemongrass: Helps boost radiance. Aloe: Helps soothe the skin. This does have a slight unpleasant smell. I can’t describe it. But it goes away after you apply it. I will tell you that the smell wouldn’t stop me from using this because the benefits out weight the slight aroma. Before using this I was experiencing dry skin on my forehead, next to my nose and my chin. Since using this it’s almost disappeared. 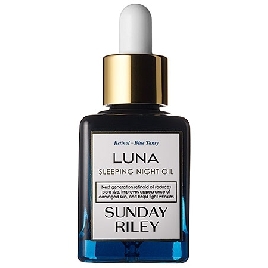 Along with Good Genes I started using Luna also from Sunday Riley. This serum is for nighttime only. It contains Trans-retinoic Acid Ester: Transforms the skin with the power of retinoids, but without the irritation of traditional retinol; encourages exfoliation and revitalization of skin for the appearance of smoother, younger-looking skin. Blue Tansy and German Chamomile: Help to calm and soothe for a reduction in the appearance of redness. Chia Seed Oil: Richest botanical source of omega 3; powerful source of alpha-lipoic acid. 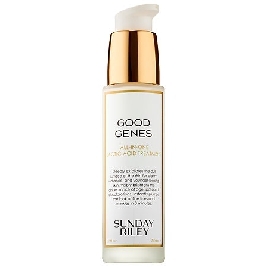 I apply this 10 minutes after using Good Genes. They suggest using the oil first then Good Genes on top. But I’d rather exfoliate first then add my oil. This also has a slight smell, but it’s nothing bothersome. I’ve gotten used to it. I feel like my rosacea has been less apparent since I started using this. Together this is a great face cocktail. They are available as a set. I will add a link for that below too. I let this sit on my skin for 5 minutes then I add my last little face cocktail. 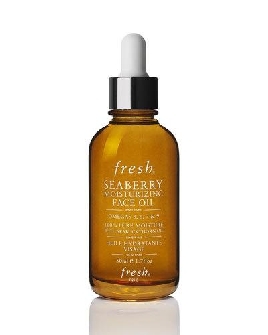 Seaberry oil is a moisturizing face oil. 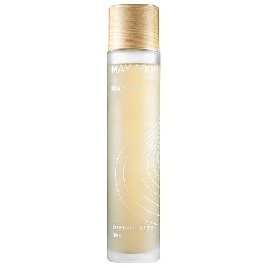 It contains (Seaberry Oil ,Seabuckthorn Oil): A powerful antioxidant rich in moisturizing omegas 3, 6, 7, and 9; noted for protecting the skin from aging free radicals. In vitro. Cranberry Seed Oil: Packed with omegas 3, 6, and 9 and vitamin E maintains the skin’s elasticity and smoothness. Camellia Seed Oil: Rich in omegas 6 and 9; helps to retain moisture. I could add a few drops to my face but instead I add this to my Belif moisture bomb face cream. This is a little thicker than the aqua bomb. But it’s not heavy or greasy and it has no odor. 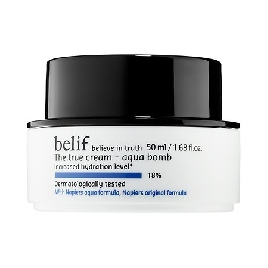 Belif moisture bomb key ingredient is comfrey leaf which detoxifies the skin leaving it smooth, soft, and clear. I put a small amount of the cream on the back of my hand along with 2-3 drops of seaberry oil. I use my finger to mix it up then apply it to my face and neck. When I wake up the next day my skin feels baby soft. As I said I have been using these products for a month now and I’m actually seeing real results. If you have sensitive skin I would suggest visiting a Sephora store and see if you can get a sample or at least try these before purchasing. These are not cheap products. But I feel that I am worth it and so is my skin. I don’t mind paying for products that actually work for my skin. I’m not saying that Rodan and Fields is a bad product. But it didn’t work for me and my skin. Hope that you find this helpful if you are as frustrated as I was trying to find skincare for mature skin. 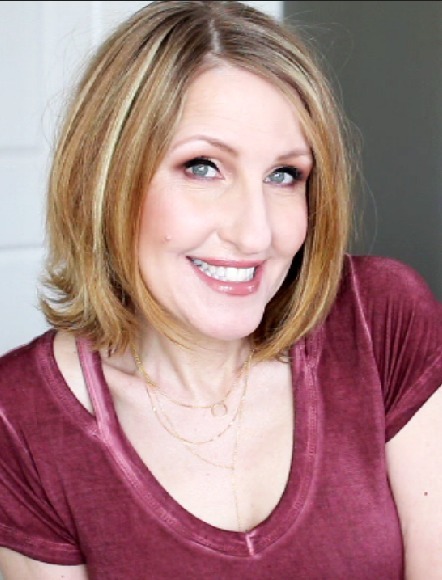 If you’re looking for makeup tips for mature skin here are a few of my favorites. I’m 52, soon to be 53, and receive compliments on my skin often, I really don’t have much for wrinkles, and for some reason I get mistaken for my mid 30s, which I find mind boggling, it’s hard for my mind to wrap around that, my oldest son is 31 and people think I’m his girlfriend, used to be kinda funny, but people will call my husband and accuse me of hanging out with ” some man” trying to get me in trouble I guess, but I assure you it’s my son….I have been using avocado oil to wash my skin for years, no soap, wipe several times with fresh warm water after massaging oil and always use a fresh clean wash cloth each use, then I use 3 or 4 drops of argan oil with a few drops of water, rub together, then rub on face, I’ve used it for about 8 years… It’s the best and you will never get another pimple…..I would say my skin looks better now than in my 40s. Just make sure it’s 100 percent argan, unrefined cold pressed, and really wash off the avocado oil good before applying. I’ve got all the gals in my family hooked and when asked by strangers I always tell, it’s not expensive, about $15 and will last a year or longer….. its all natural and my skin loves it, I hope this helps someone. Wooo Hoo Congrats Ann on the feature. So excited for you.